Spanish navigators were the first to explore the North American Pacific Coast, beginning fifty years after Columbus discovered the western continents. 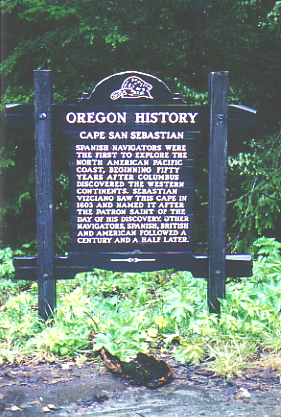 Sebastian Vizciano saw this cape in 1603 and named it after the patron saint of the day of his discovery. Other navigators Spanish, British, and American followed a century and a half later.